Find below a list of all of the publications put out by Ashoka Scandinavia to date. Ashoka Scandinavia's 2016 Impact Report is out! Take a look at here to find out more about our global network and the impact of our Fellows and programmes! 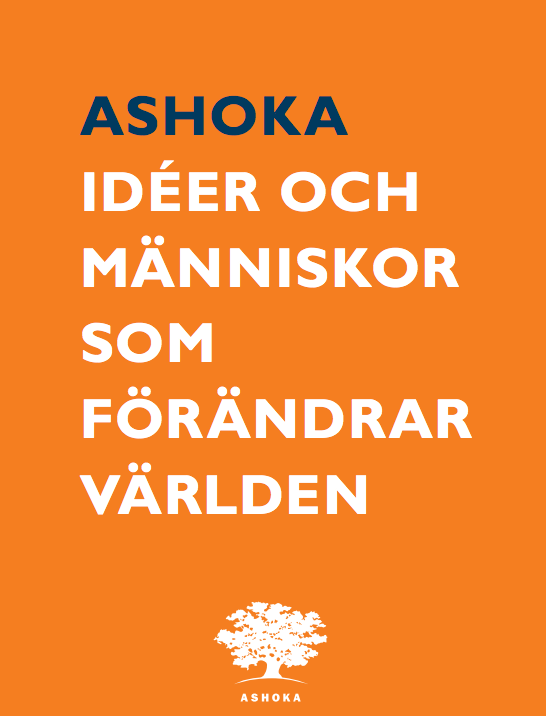 Ashoka Scandinavias Annual Report 2015, where you can read more about the organization, Fellows, supporters, happenings and Investors. 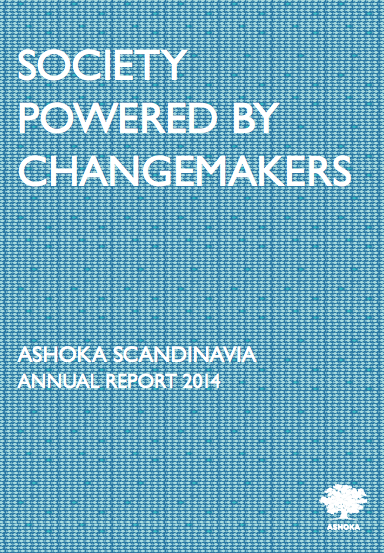 Ashoka Scandinavia's Annual Report offers statistics and insights on our work and impact in the region for 2014. An overview of programs, initiatives, and network support which aim to cultivate Social Entrepreneurship and Changemaking in the region, as well as to enable the growth and social impact of Ashoka Fellows and young people in Sweden, Norway and Denmark is provided. 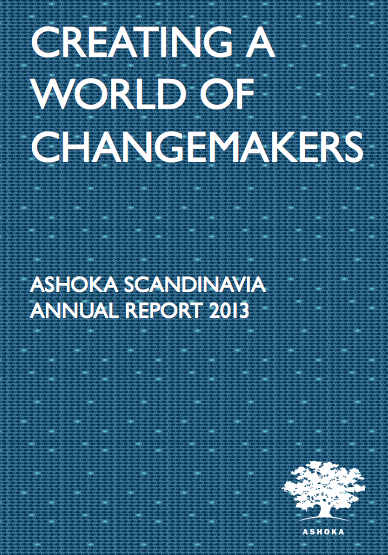 Ashoka Scandinavias Annual Report 2013, where you can read more about the organization, Fellows, supporters, happenings and Investors. 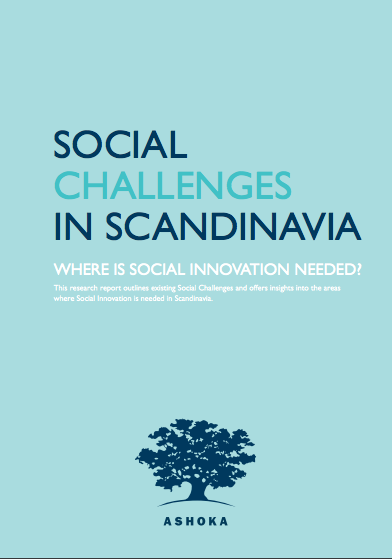 Together with McKinsey, Ashoka Scandinavia analyzed the local context in the region during 2012-2013 to find the most pressing social challenges affecting our communities, and has published the report "Social Challenges in Scandinavia, Where is Social Innovation Needed?" A brochure in Swedish providing a short introduction to Ashoka Scandinavia, including some of our Fellows. 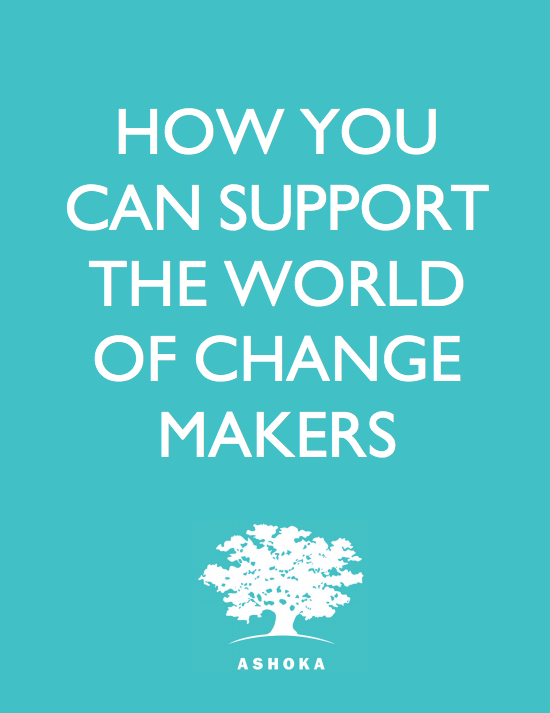 How You Can Support The World Of Changemakers explains the different ways to financially engage in Ashoka Scandinavia.